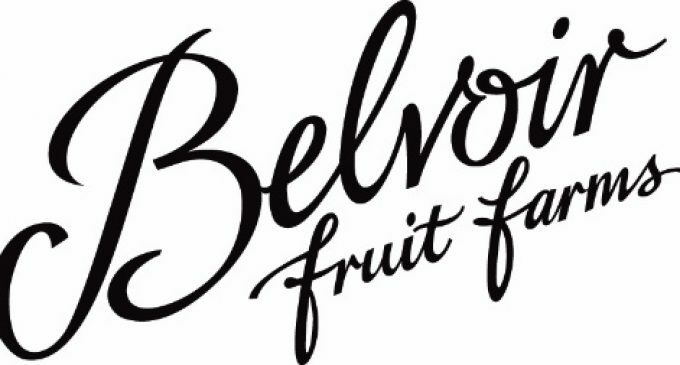 Belvoir Fruit Farms is getting into festive mood with a limited-edition Christmas label for their popular Elderflower Pressé. The jolly, holly covered label also features the brand’s iconic elderflower motif dressed to impress for Christmas in golden foil, bringing seasonal sparkle to the design, along with the cheerful seasonal message ‘Bubbling with Joy’. 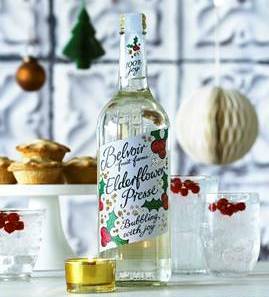 Belvoir’s Elderflower Pressé remains one of the company’s best sellers. This is the second limited edition label in 2017 for Elderflower Pressé, the other being ‘Hello Summer’ which coincided with the start of the elderflower harvest, perhaps the most important time of the year for Belvoir Fruit Farms. Belvoir promotes its Elderflower Pressé as more than just a delicious soft drink but also as a great mixer with spirits and an ingredient for cocktails with a raft of recipes available on its website, www.belvoirfruitfarms.co.uk. The ‘Bubbling with Joy’ limited edition bottle will be on sale in most major supermarkets, and anywhere that Belvoir Elderflower Pressé is normally available, from the end of October, while stocks last. A 75cl bottle has an RRP of around £2.29.